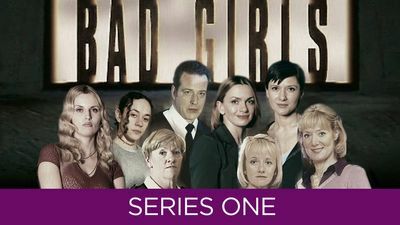 Here's where to watch every episode of Bad Girls season 1. Mouseover or tap an episode to see where to stream it. Click or tap the play icon to stream it on the best available service. Falling Apart Jul 20, 1999 Julie J received a Birthday card from her son and discovered that it was a coded recipe for brewing alcohol. The Julies, along with Nikki and Denny, then try to make the alchohol. They were nearly caught by Sylvia but the Julies managed to distract her enough to divert her attention from the shed. Monica received the shattering news that her son, Spencer, had died from a fatal heart attack. Helen goes to the funeral with Monica and showed her compassion when she removed Monica's handcuffs. The inmates name their new wine in honour of Spencer. Pay Back Time Jul 27, 1999 Shell told Crystal that she wanted her to write an article to a newspaper about the drugs problem at Larkhall - this got Crystal into trouble with Helen and Helen into trouble with Stubberfield. Shell also revealed to Crystal that she wanted to set up Lorna. She persuaded Lorna to bring her some perfume that had some very well hidden drugs inside - Lorna didn't notice them but Helen certainly did when Shell showed her! Lorna got the sack! Shell was therefore very unpopular on G-Wing. Monica planned suicide but was talked out of it by Nikki and a new inmate, Yvonne Atkins arrived.